In the past year, I have mostly dealt with logistics, that is, moving ships and assets from one base of operations to another. The carrier has seen repeated use as the Epsilon Lyr capsuleers have traveled space in their quest for a new stronghold to forge their destiny in. My crewmen, like the true space nomads they have become, barely ever leave their jumpsuits. And today, once again, we are on the move. The morale is high, but this is not the life I wanted. 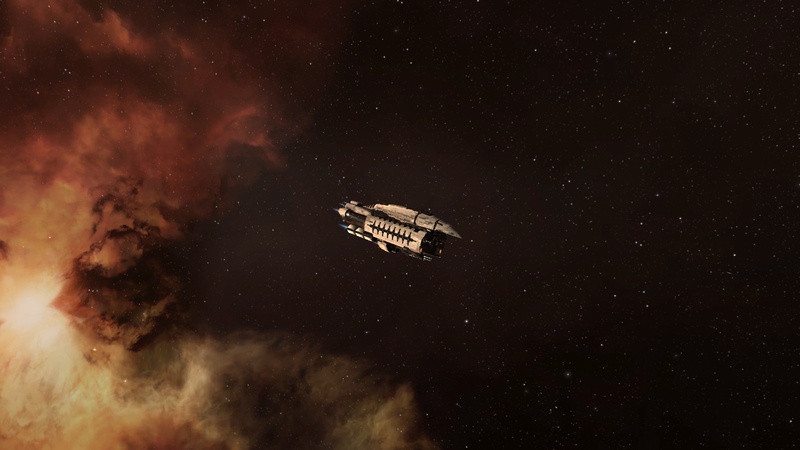 I long to experience another time-dilated space battle in my glorious Abaddon, like the one yesterday. I might receive more than I asked. When you awaken, pray that your life will be violent, and leave out the short part. Project Compass and the "box" in "sandbox"
DUST 514 to be free-to-play: what next?